New features could render this camera a stronger competitor. Hanwha Techwin America (the Hanwha Group acquired Samsung Techwin America, but the companies agreed to keep Samsung in the product name) fixed one of the Samsung SmartCam HD’s biggest weaknesses on Thursday by adding cloud storage to the product's feature set: Owners now have the option of subscribing to SmartCloud instead of relying on the onboard SD card that included with the camera. As we pointed out in our review, without this feature, you lose your forensic evidence of the crime if the thief steals the camera (or its SD card) during the break-in. The absence of cloud storage apparently wasn’t lost on customers: Hanwha Techwin says feedback showed “an overwhelmingly high demand for cloud services.” The SmartCloud subscription service comes in three tiers: $50 per year to store up to five days of continuous video, a $70 plan for seven days of storage, and a $200 plan to store up to 21 days. You can also subscribe on a monthly basis for $5, $8, or $20 respectively. Footage is encrypted while in transit to and from the cloud to prevent snooping. Tapping the computational power of the cloud also enabled Hanwha Techwin to improve the camera's motion-detection features. It can filter out lights, shadows, and even weather patterns such as rain that might otherwise cause false alarms. “Because we leverage the computing power of the cloud, we are able to deploy more sophisticated, proprietary algorithms that show marked improvements, particularly in removing false positives resulting from atmospheric conditions,” said a Hanwha Techwin spokesperson. The cloud connection also enables continuous recording, which is a useful feature for anyone using the camera in a business setting. 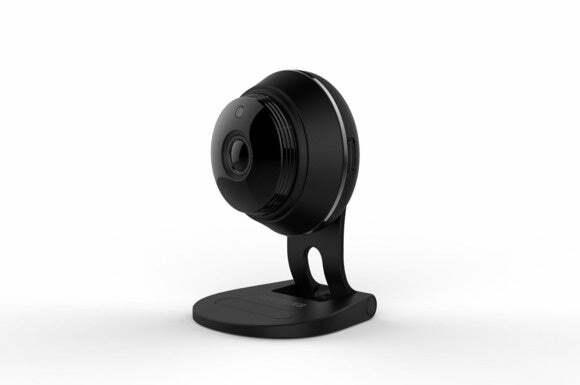 SmartCam HD Plus users can give the new features a 15-day trial run for free by signing up at the company’s website. Why this matters: Cloud-storage service can be expensive, but there's a distinct advantage to storing your surveillance footage offsite: Smart thieves won't be able to make off with the evidence of their crime. The new cloud-based motion-detection algorithms could provide an advantage as well. In our hands-on review of the SmartCam HD Plus, we found the camera to be a bit too sensitive in this regard. We had to tweak the camera's settings quite a bit to reduce unnecessary notifications. We'll take a look at the new service and update our review as soon as we can.